We're approved to deliver training and assessment from our training centre in Birmingham. 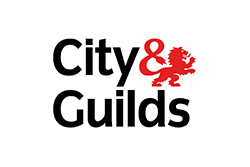 We're approved by City & Guilds to provide electrical training and assessment courses. 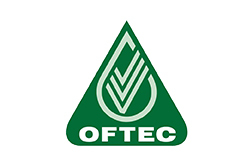 We're approved to deliver training and assessment for OFTEC oil qualifications from our training centre in Birmingham. ACOP gas and electrical courses are available for work where Gas Safe registration is not required. 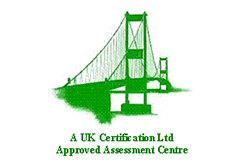 TC Training are a highly specialised company providing Gas engineer courses, Electrical courses and Oftec Oil courses. 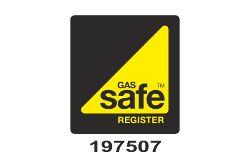 We are a friendly highly specialised company devoted to training engineers in the latest industry qualifications that are required by law for working within competent persons schemes such as the Gas Safe Register. We host courses within our modern fully equipped training centre, where technicians are able to obtain the qualifications that are required to enable them to join the relevant competent persons scheme. We are located in three separate buildings, all of which are equipped to the highest standards with the latest training equipment needed to progress in your chosen field. Enjoyed my 4 days at TC Training, friendly attitudes and made very welcome and very relaxed. Excellent team, great environment – thanks! Al parts useful as this is part of our days work. Lots of thanks Tom, best course so far. OFTEC Oil •	Training, learning about changes over the past years not in books sent out to engineers. ACS Gas • I found out a few new ‘at risk’ situations i was not aware of. Thise will come in useful with training the engineers I deal with every day to bring every body up to a better standard. Very friendly & pleasant to deal with. ACS Gas • Understanding teachers & assessors and people who know their job. Thank you, well done! ACS Gas • Updates to change in regs in the last 5 years useful. All the assessors made me welcome and at ease. ACS Gas • Pipe sizing and ventilation useful. Very good course thanks to all staff. ACS Gas • I recommend other student come here, all staff very good and very helpful. ACS Gas • Excellent support and training. Through a serious subject made interesting and enjoyable. Great team. Administration team very helpful and pleasant. Thanks for everything. ACS Gas • The training was very useful and very informative. The best gas training I have ever received, training excellent, staff and administrators very friendly and helpful. Would highly recommend TC Training Limited. Been very enjoyable. ACS Gas • Variation of equipment to learn on test was best i have seen. Trainers friendly, helpful and very knowledgeable. Very helpful & informative booking process swift and dtes of availability great!